FACT CHECK: Was Mail Bombing Suspect Cesar Sayoc a Registered Democrat? Was Mail Bombing Suspect Cesar Sayoc a Registered Democrat? A listing for the mail bomb suspect on MyLife.com underwent a series of edits after his arrest in October 2018. 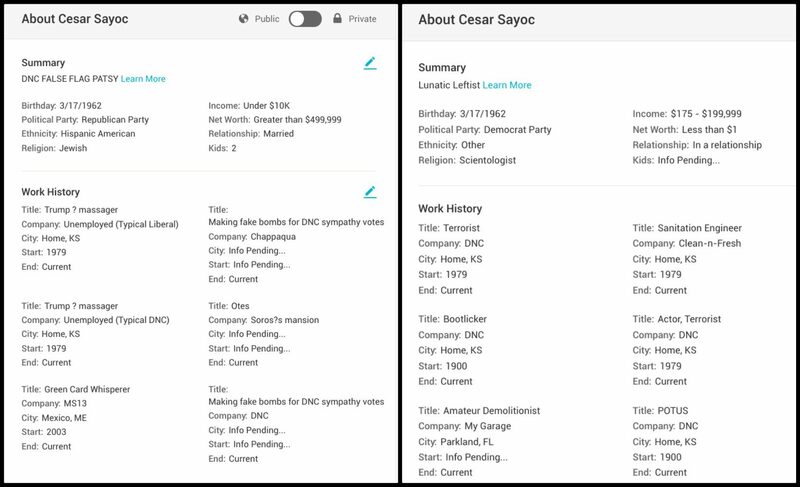 A screenshot from MyLife.com confirms that mail bomb suspect Cesar Sayoc was registered as a Democrat. On 26 October 2018, federal authorities arrested a man named Cesar Sayoc in connection with a series of mail bombs that were sent to various Democratic politicians, news organizations, and liberal fundraisers. The intended targets, as well as political stickers on the suspect’s van, photographs showing him at rallies for President Trump, social media posts calling for a “Red Wave,” and an official Florida voter registration record listing Sayoc as a Republican, indicated that the suspect harbored a definite political affiliation. 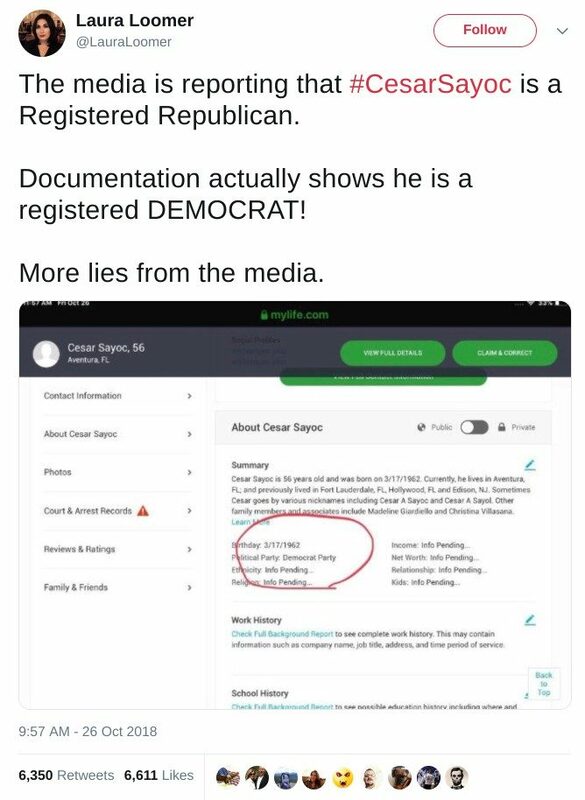 This screenshot is real, but it is not evidence that Sayoc was ever registered as a Democrat. The information on MyLife.com is “gathered from a variety of pubic records,” but information on the site can also be edited by users. We couldn’t find an archived version of Sayoc’s MyLife.com page prior to his arrest, but after his name was released to the public in connection with the mail bombings, his page underwent a series of changes as partisans and internet trolls edited the page to their liking. In other words, Sayoc’s MyLife.com page is not “documentation” that he was ever registered a Democrat. 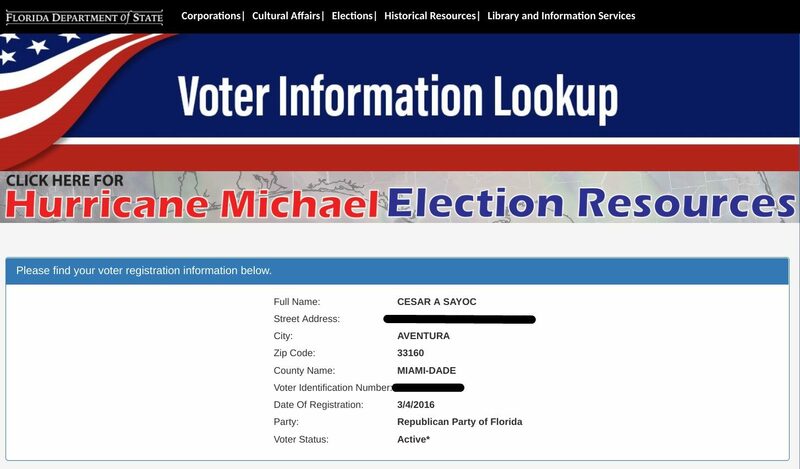 The claim that Cesar Sayoc was registered as a Democrat is not based on reliable information. This claim stems from an unofficial record that was briefly posted to an unreliable web site and underwent a series of politically motivated edits in the wake of Sayoc’s arrest. 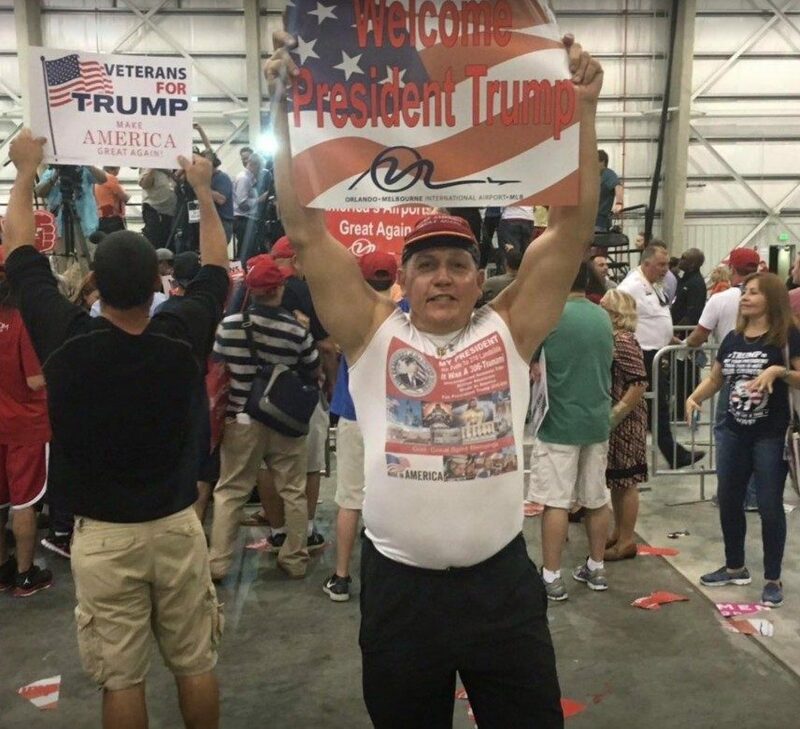 Official records show that Sayoc was registered as a Republican in March 2016. The Washington Post. 26 October 2018. The New York Times. 27 October 2018.